Info:X-Particles is an awesome addition to CINEMA 4D, allowing artists to create finely rendered fluid simulations, dynamics, and collisions quickly and easily. This course gets you started with this powerful plugin. 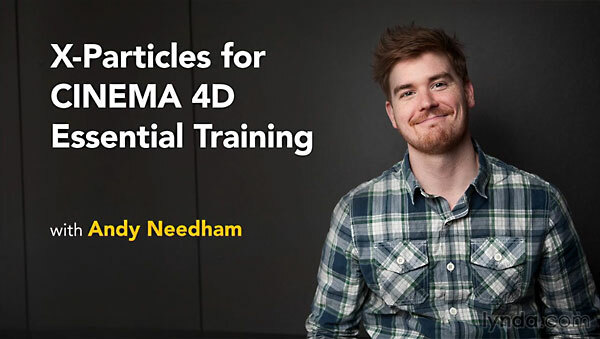 Join Andy Needham as he walks through the Emitter interface, shows how to use modifiers to change the look and behavior of particles, create visible particles that trail and branch, make fluid and fire simulations, and render your work. He’ll also provide workflow tips and a series of miniprojects that show how to create effects like pixie dust and fireworks with X-Particles.